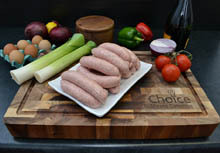 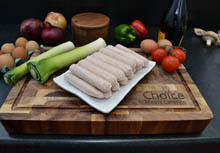 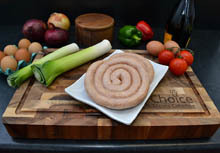 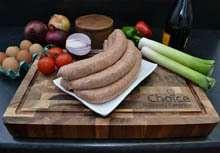 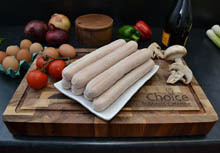 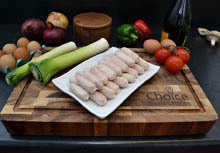 Our own quality British Pork is used in our home made fresh Pork, Cumberland, Lincolnshire and chipolata sausages. 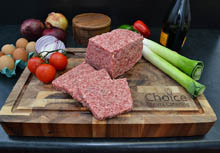 At selected times of the year we produce our special seasonal mixes. 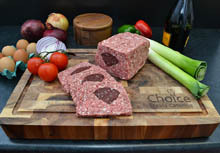 For example, at Christmas our Chestnut, Plum & Ginger, Sage & Onion and Cranberry & Spiced Apple prove very popular. 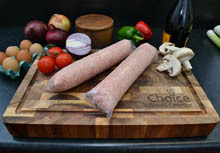 We also stock a full range of Blakemans frozen catering sausages, and our own recipe Pork and Cumberland, specifically developed for the Lancashire palate.